Summer is here and it's time for a barbecue! Whether you're planning a small backyard cookout for the family or a big barbecue party, there are a few essentials you need. From the food to tools for the grill and cold drinks to table settings, a checklist of everything you need will ensure you don't forget a thing. The grill is the heart of any great barbecue. While grills come in all shapes and sizes and every backyard chef has their preference between gas and charcoal, the tools you need are all the same. An investment in a good set of barbecue tools can last for years. Ensure that you have a stainless steel spatula, tongs, and a grilling fork that can stand up to the heat. A basting brush will also come in handy, as will a flame-resistant glove and an apron. Don't forget the extra gas or charcoal for the grill, either! A good supply of drinks will keep everyone cool and refreshed. There are many beverages that are ideal for a backyard cookout, so you're sure to find something for everyone. Offer a variety of nonalcoholic drinks for kids and guests who don't drink alcohol. The most important drink, especially if it's a hot day, is water. Be sure to have plenty in stock so everyone can stay hydrated. Fruit punches are perfect for a summer cookout and a pitcher of homemade lemonade is always a hit. You can also offer other fun recipes like the sparkling cranberry punch or the cardinal punch. Filling the cooler with ice-cold beer is a barbecue tradition. While you can pick up a case of your trusted go-to brand, there are many fantastic beers to explore. Pairing barbecued foods with wine is another adventure that can keep you busy all summer. It's fun to discover the "rules" of finding a great cookout wine and you'll often find that inexpensive red wines are the best picks. You can also show off your bartending skills and there are many fun cookout-worthy cocktails. They're typically easy to mix and play up the freshest fruits of the summer. From the marinade for a steak to fixings for your burgers, it's the little things that make your food better. The condiments, spices, and sauces needed for a barbecue are going to depend on what you're cooking, though there are some staples you won't want to forget. While there are many great barbecue sauces available at the store, you may want to make your own. Most barbecue sauce recipes are easy and can give your grilled meat a custom touch. For a menu of burgers and hot dogs, condiments are essential. Setting out all the favorite toppings will ensure everyone can build their ideal meal. To really set your burgers apart, try a secret sauce or creative toppings that are sure to make super burgers! For any other style of barbecue, you may need a few special condiments. Some of these will go directly on your grilled food while others can be used as toppings or dips. Whether you need any of these is going to depend largely on what you're serving. For instance, salsa is a must with tortilla chips on the table, while regular potato chips may require ranch or French onion dip. The menu for a barbecue can be as complex or simple as you want to make it. You can go with old-fashioned staples or show off your culinary prowess. Have fun with this part because it's the focus of the entire day. Many delicious foods are perfect for the grill. While meat is often the first choice, there are a number of vegetarian options as well. Choose one or two mains to feature and save the other ideas for the next cookout. No matter which you choose, it's all about the seasoning. Also, be sure to review proper grilling technique and cooking times to ensure everything's done to perfection. Be sure to serve a couple of side dishes at your cookout. They can feature the best produce of the summer season and many cold salads can be prepared ahead of time. Some of these are great snacks while you're waiting for the grill, too. Let's not forget about dessert! Though the grill may get all the attention, your cookout desserts finish off the party perfectly. 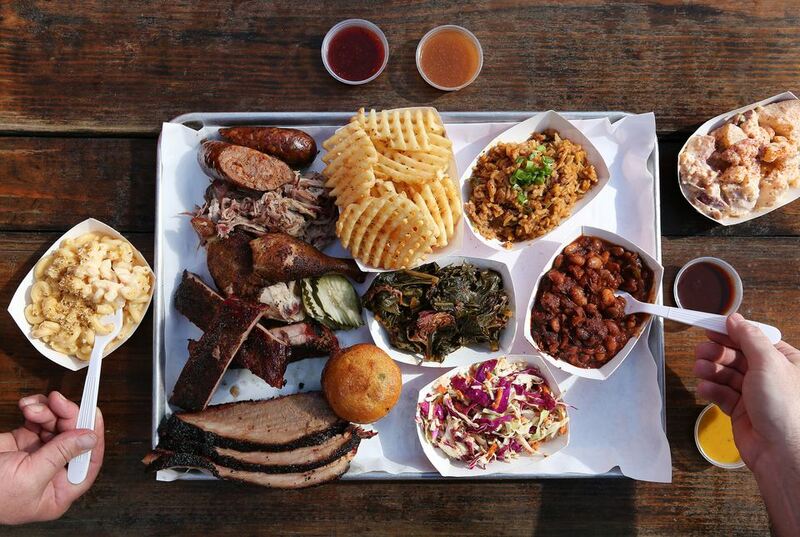 Your picnic table will be the hub for all the action. Dress it up with fun decorations or keep it simple and functional. Either way, there are a few things you'll definitely need. For tableware, it's easy to pick up disposable plates, utensils, and cups. They make clean up very easy because everything's tossed in the trash when you're done. If you'd like to be more environmentally friendly, pick up reusable outdoor table setting supplies. You'll need to clean them after each party, but they tend to be affordable and durable enough to get you through a year or two of cookouts. All the fun and excitement of your backyard party can quickly come to an end if there's an accident. Be prepared and make sure to have these things around just in case something happens. It's also not a bad idea to get a refresher on grill safety.